David Cichowicz opened Good Beer in 2010. There are a lot of terms thrown around for gourmet food and beverages, like “artisan” or “craft”, but what they really mean is that what you’re eating or drinking is … good! 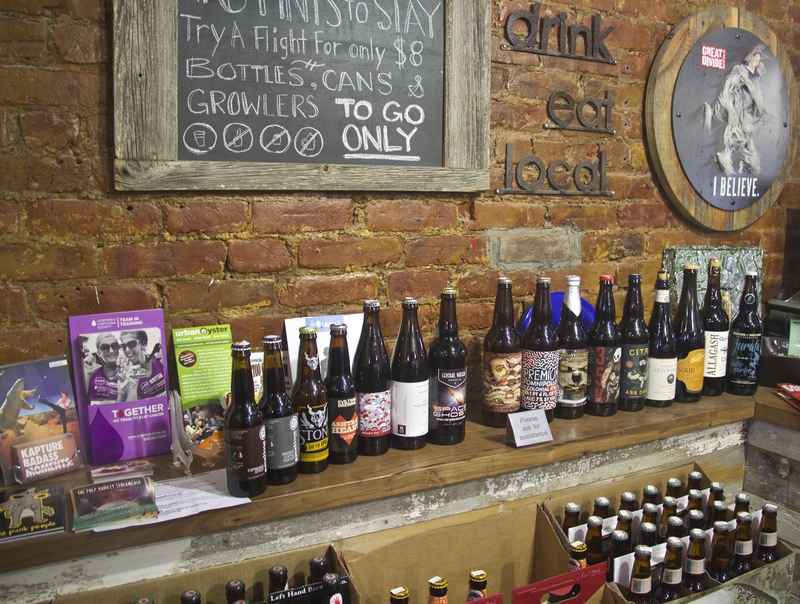 And that’s the philosophy behind Good Beer, one of the most established craft-beer stores in New York City. After working in the publishing industry for 13 years, Cichowicz decided to take his career along a path toward something he loved—beer—instead of working in an industry just to pay the bills. 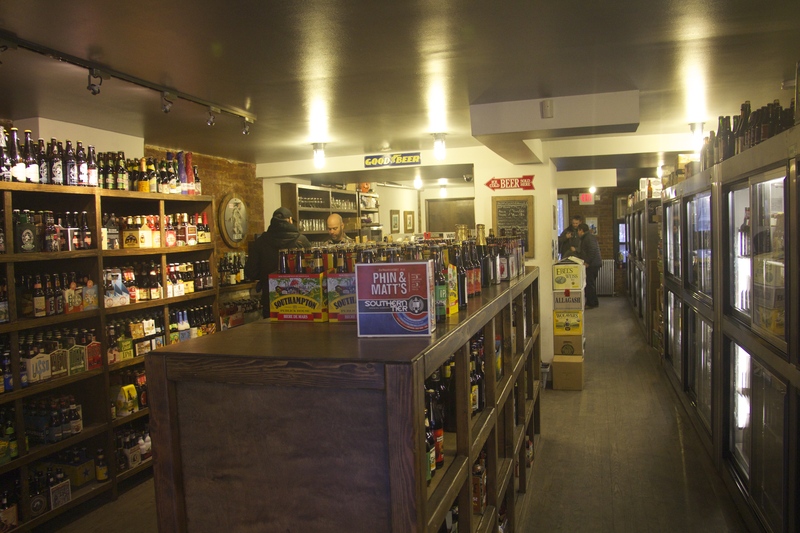 But there weren’t many beer stores in the city, especially ones that weren’t just mazes of Budweiser and Miller Lite cases stacked to the ceiling. 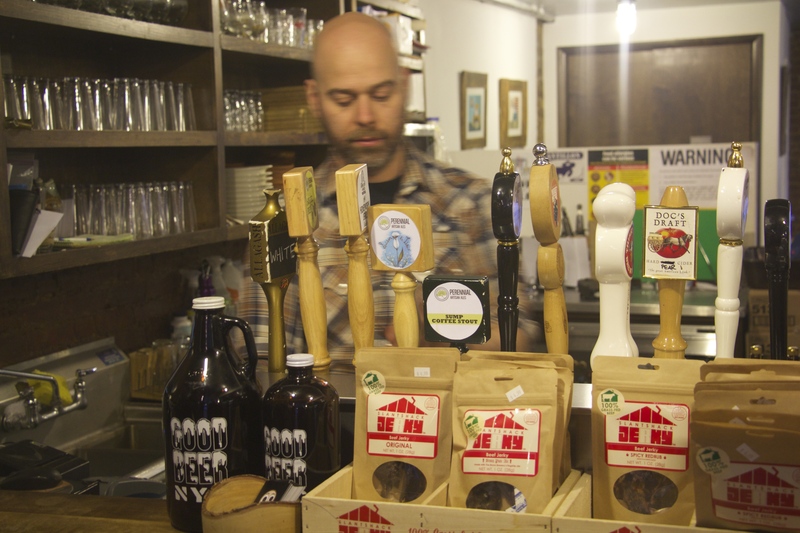 “I noticed the bodegas in my neighborhood were all starting to carry more craft beer, so I figured the demand in the neighborhood was growing,” says Cichowicz, who opened the store in 2010. 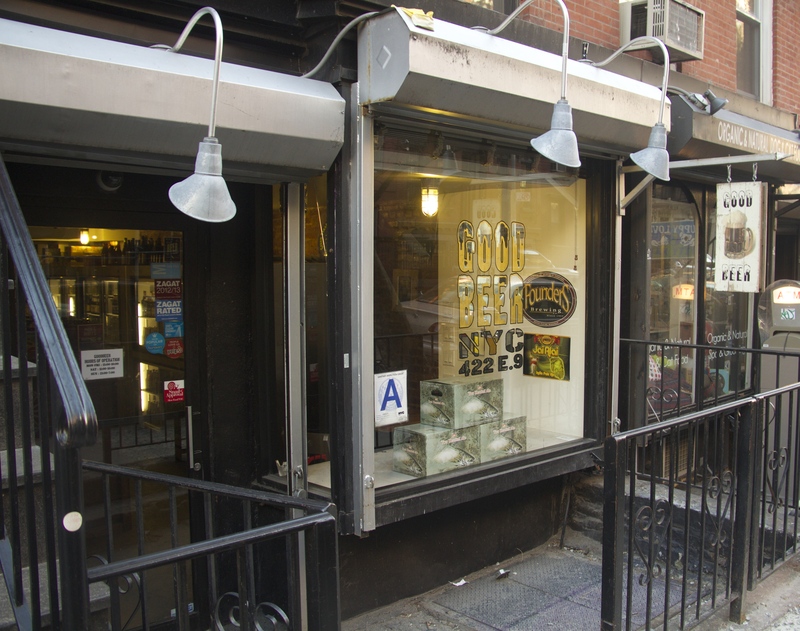 Good Beer is located at 422 E 9th Avenue between 1st and Avenue A. He wasn’t the only one who noticed that people were growing tired of the same beer choices. 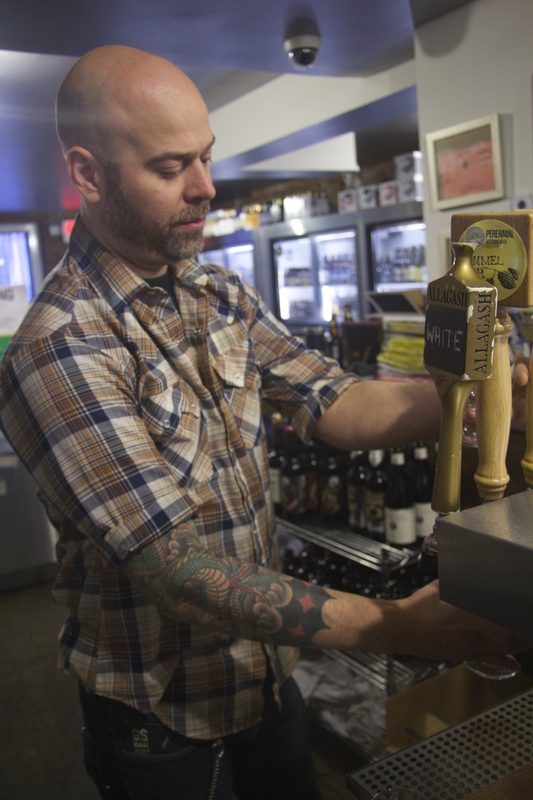 “When I opened, there were only two real bottle shops in Brooklyn and now there are shops all over the place,” he says. The demand is obviously good for business, but he remembers a time only a couple years ago when some of the most sought-after beers were easy to obtain. Now he finds that the most frustrating part of his business is supplying his loyal customers with the limited beers they want. I happened to meet Cichowicz after rushing to the store to pick up a bottle of Firestone Walker’s Sucaba barleywine, which he imposed a one-bottle limit upon to insure that more customers could get to try the beer. And that seems like a trend that won’t end in the near future, which is great for the craft-beer industry, but can become frustrating for shop owners and customers alike. Check out the recent arrival shelf for new and limited releases. 12 taps $6-7 pints and $8 flights or growlers to go. Today, Good Beer offers 600 to 650 bottles and a rotating lineup of 12 beers on tap. You can drink at the store, or take out growlers. And if you do stick around for a pint, Cichowicz is also proud of his food offerings—heritage pork sausages, Martin’s pretzels, Pickle Guys pickles and kraut, and Roni-Sue’s Chocolates. While owning a shop has allowed Cichowicz to try so many different style beers, he says his favorites are floral, citrusy “sessionable” pale ales with low ABVs. They are still full flavored, “without getting you knackered,” he says. Cichowicz hopes Good Beer continues to grow and he says he’ll probably open another store. That’s great news for New York beer lovers, who want more good beer.